This is a personal reorganization of your debt. Under Chapter 13, payments are made through the court, and all your possessions you have upon filing are protected. 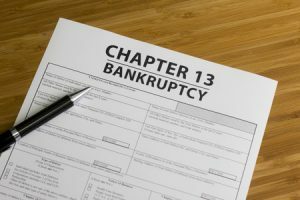 Chapter 13 also allows for some mortgage restructuring, often eliminating second mortgages on homes and modifying mortgages under court supervision. Typically, at least some unsecured debt is paid, albeit a very small percentage of the totals. Payment plans normally range from three to five years. This is one of two common bankruptcy routes to take. At Caplan Bankruptcy and Family Law Firm, we offer free consultations with attorneys who are experienced with bankruptcies to give you the answers and peace of mind you need to move forward. To learn more about Chapter 7, visit this link, or press the corresponding button below.